In this tutorial, we will be installing your theme using the Upload feature in your WordPress Dashboard. Before you can upload your theme, you first need to download it from the members area. Login to your account, and then look for the “Divi” theme on the list of themes. 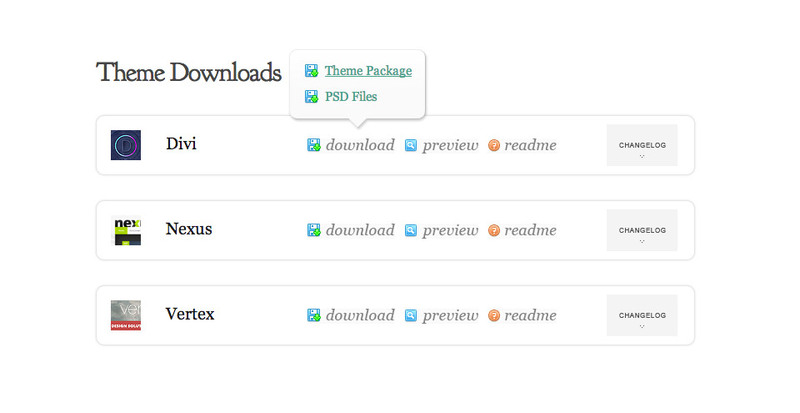 Click the “download” link, and then select the “Theme Package” to begin your download. To upload your theme, you first need to log in to your WordPress Dashboard. After you have logged in, click the Appearances > Themes tab to open up the themes page. Click the “Add New” button on the top of the screen. On the next screen, click the “Upload Theme” button on the top of the page. This will bring you to a new page with an upload link. Click the “Choose File” button to open up a window to browse your computer. Locate the Divi.zip file that you just download from the members area, and select it. After you have selected the file, the window will close. Click the “Install Now” button to install your theme. The page will re-load, and after the theme has been fully uploaded, you will be presented with an “Activate Theme” link. Click this theme to activate your theme and complete the installation.